Two-stage scroll compressor requires no pistons and few moving parts to give you quiet operation along with efficiency and reliability. The high efficiency indoor motor and scroll compressor contribute to cost savings on energy. 1 year No Hassle Replacement™ limited warranty* gives the original purchaser a replacement unit if the compressor, heat exchanger, or outdoor coil should fail due to defect within the first year. 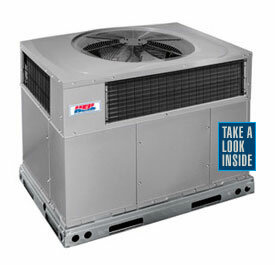 Heil® engineers have increased this unit’s efficiency to 13 SEER to help lower your energy bills. That makes it twice as efficient as many older units! 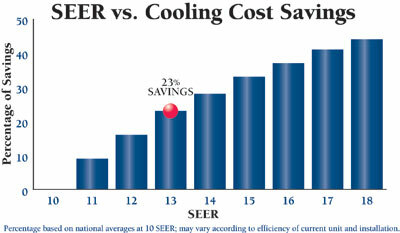 †SEER stands for Seasonal Energy Efficiency Ratio.